The fastest growing metropolis, the garden city of Bangalore is the capital of Karnataka. The clean and spacious city of Bangalore has many imposing structures full of historic and modern architecture. Bangalore is also called the “Garden City” for its beautiful garden, flowers and trees in each and every street. It is the fifth largest city and India’s largest metropolitan area. After gaining independence in 1947 it evolved into manufacturing hub for industries like HAL and ISRO. Bangalore is the scientific hub of India and it has the world renowned and the oldest Research University, Indian Institute of Science. The other research institutes are the Indian Institute of Astrophysics, the Raman Research Institute, the Jawaharlal Nehru Centre for Advanced Scientific Research, the National Center for Biological Science and the Indian Statistical Institute. If there is a city that symbolizes quick growth, a modern outlook and technological savoir-faire, it is Bangalore, the capital of Karnataka. Founded by a Hoysala king in the sixteenth century, it later became a fortress town under Tipu Sultan and finally a British cantonment. Its economic surge began in the 60s when the Indian government set up major defence and telecommunications establishments here. The fact that the city is 950m above sea level makes the climate of this city much more pleasant than many others. The months of January and February and again June to October are ideal for visiting. November to mid-January witnesses a mild winter, while March, April and May are the summer months, with April being quite hot. Rainfall can be expected from the end of May to October. Carry a light Sweater or sweatshirt time of the year as the temperature can fall suddenly with the onset of cloudy weather. Bangalore can be accessed by air, rail and road. The airport is 13 km from the city centre and has flights to all major Indian cities, as well as select international flights. The two railway stations are the main City Station and the Cantonment Station, however several trains have been introduced from the third railway station - Yeshvantpur. The interstate bus terminus is across from the City Station. South India has a wide and efficient network of buses and several of these depart from Bangalore. The local bus service of the city is fairly frequent though a bit crowded for comfort. Auto rickshaws are a cheap alternative and unlike many other cities, they run by the meter. There are plenty of private call taxi hire services. Cubbon Park officially known as Sri Chamarajendra park , it has a history of 100 years is a green patch in the heart of the city that lends Bangalore its traditional name of Garden City. Spreads over 300 acres houses various tourist attractions such as rose garden, memorial hall which is dedicate to Aeshadri Aiyar. Laid out by the British chief engineer, Richard Sankey, in 1864, it is famous for its giant bamboo and blend of natural and artificial landscaping. This park consists of vast expance of grass bed full of tall statues and trees. Cubbon park is the centre of Bangalore city surrounded by many traditional buildings. Initially Started as a private garden by Sultan Haider Ali one of the most famous rulers in 1760 this garden was further developed by Hyder Ali’s son Tipu Sultan and enhanced by British horticultural experts, this botanical garden is a wonderful mix of Mughal, British and French gardening styles. Its sprawling grounds house thousands of exotic plants and ancient trees, including hothouse varieties grown in a glasshouse based on London's Crystal Palace. Kempegowda Tower in Lalbagh, atop a stretch of granitic rock called peninsular gneiss said to be 3000 million years old. The garden with well-laid out roads, paths, open spaces, shade and a good collection of many types of plant species attracts a large number of visitors. Lalbagh is well protected with stone walls as enclosures and it has four approach gates. The main gate is at the North facing towards Subbaiah circle, the West gate is towards Basavanagudi, the South gate is towards Jayanagar and the East gate is towards the Double Road. An impressive structure as well as the most magnificent buildings in the Bangalore City of India. Famous for housing the Legistlative Chambers of the state government. Built in 1956, it reflects the flamboyant Indo-Saracenic architecture of the Raj, while incorporating Rajasthani balconies and decorative elements from other parts of India. Thre three hundred rooms of Vidhan Soudha can accommodate approxmimately twenty-two departments of the state government. It rises to a height of almost 46m, making it one of most imposing structures in the city of Bangalore. The whole construction took four years to complete and about 5000 laborers and 1500 chisellers, masons and wood-carvers worked on the project. ISKCON temple situated on a seven acre hillock called ‘Hare Krishna Hill’ on the West of Chord Road. ISKCON Temple Bangalore is a replica of the Gaudiya Vaishnava faith based on teachings of Bhagvath Gita and Purana. This is also called Radha Krishna Temple. It was set up as a birth centenary of its founder Sri PRABHUPADA. The arches of the temple are very well decorated and the illuminated waterfalls lead you to the heavily designed Rajagopuram. There is also an open air theater to organize concerts and festivals. The four temple gopurams combine through glazed glass canopy to form a 10000 square feet hall named ‘Hari Naam Kirtan’. One of Bangalore's oldest temples is the temple of Lord Shiva with an enormous granite bull, which was the God's mount. The temple was built in the sixteenth century by the founder of Bangalore, Raja Kempegowda in typical Dravidian style. This temple is dedicated to Nandi, the vahana of Lord Shiva. Situated in Basavanagudi, the temple counts amongst the oldest temples of the city and draws devotees from all over the country. This huge idol of Nandi inside the temple measuring 4.5m in height and 6.5 m in length, and it is said to have been carved out of a single rock. A small iron plate on its head has been placed to prevent from growing. There is a strong belief that the Vishwa Bharati River originates at the feet of this statue. The Tippu Sultan’s summer palace is built of stone, wood, mortar and plaster is one of most famous landmarks in Bangalore. Built in the eighteenth century by legendary ruler known as Tiger of Mysore, situated within a small fortress carved with teak pillars. The construction of this magnificent palace was commenced by Nawab Hyder Ali Khan in 1781 and was completed by Tipu Sultan in 1791. It was constructed to house the durbar to administer the happenings of the territory, while serving as a “Summer Retreat”. This Tippu summer palace is two storied palace, built on stone plinth that support huge wooden beams constituting wooden structure. The walls and ceilings of the entire palace are painted in floral motifs on madder red surfaces, in great detail and beauty. There are four staircases leading to the upper chambers and balconies, the central portion on the first floor is a large hall which leads to four smaller rooms at its corners. These are considered as Zenana Quarters. Located in two balconies on the North and South where the seats of State, where Tipu Sultan held audience and conducted his affairs of State. Till the 15th century, the area where Mysore stands today, was known as Puragere. The fort was constructed in the year 1524 by Camaraja Wodeyar III of Wodeyar dynasty. It is capital of Karnataka. Dussehra the most important festival which is celebrated for about 10 days. Started by King Raja Wodeyar I in the year 1610, the night day of the celebration is known as Mahanavami and the imperial sword is worshiped on this day. Mysore also known as city of Palaces has a large number of palaces around the city. And the most famous attraction of this city is Mysore Palace. The best time to visit is evening, when the whole palae is lit up with sparkling lights. The famous Jayalakshmi Vilas Mansion is now being converted into a museum and is dedicated to folk culture. The Brindavan Gardens north of the city are a picturesq sight bordering the impressive Krishnasagar Dam. Srirangapatana is also known as Srirangapatnam or Serignapatam is an island town on the Bangalore –Mysore highway (15 m from Mysore, Karnataka) encircled by river Cauvery. This town dates bac to 894 AD when Chieftain Tirumalaiah built the temple of Lord Sriranganatha. The island town was the capital of Hyder Ali and son of TIPU Sultan – the Tiger of Mysore. The ruined-preserved state of the town today points to its past glory. Climate is pleasant through hout the year. However November to April is best. Masjid-e-Ala or Jama Masjid in Srirangapatana is the major Tourist Attraction within the walkable distance of Srirangapatana bus stop. The mosque is located near Bangalore Gate of the fort. Tipu Sultan built this Masjid in 1784. This Masjid has tall minarets as if touching the sky . The minarets are double storied and octagonal in shape. Masjid has a huge prayer hall and there are about 200 steps leading to the top of the minarets from where one can have the splendid view of surroundings. Somanthapur is a small village on the banks of the river Cauvery, founded by commander of Hoysala Army, Somanth. This village is famous for splendid and grand Kesava Temple that has been built in the Hoysala Style. The Keshava Temple built in 1268 by the Hoysala kings is a prime example of the beautiful architecture of the era. It intricate carvings of humans and animals and an elaborately decorated hall, which houses the shrines. About 60km from Bangalore lies the splendid Nandi Hills at aheight of 1,600m. A steep cliff face from where he supposedly hurled his enemies to their death. There are a few temples from the Chola. Nandi Hills gets its name from the famous Nandi temple situated atop this hill. Which gaurds the outside of the Yoga Nandeeshwara temple. This temple also has a dedication in the name of Sambhaji who was the son of Chatrapati Shivaji. This beautiful Nandi Hill popularly known as Nandi Betta or Nandi Durga for the locals and the people of Karnataka. During the Chola reign, Nandi Hill was known as Ananda Giri. Now it is also known as Nandidurga.A fort was built during the period by the chieftans of Chikkaballapur. 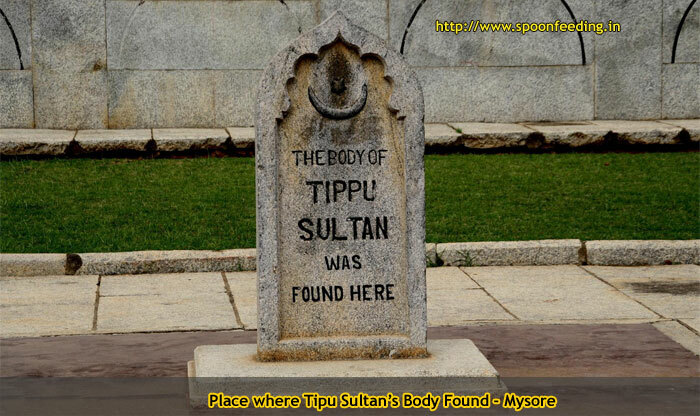 It was strengthened by the famous King of Mysore Tippu Sultan. It covers a vast area of 97 acres and soldiers could shoot from all directions without being seen and there is a famous “Tippu Drop” a 600 meter ciff with a huge rock landing after the drop. Prisoners and convicts during Tippu’s reign were pushed off this cliff. It was a Mysorean Fort before the British forces under Lord Cornwallis captured in the year 1791. Later the British developed the hill station and it became popular. Bannergatta National Park which is about 25,000 acres with 7.5 acres butterly park is just 21km away from Bangalore. It is a reserve of lions, Indian Tigers, and many other mammals. Crocodiles, picnic corner, pets corner and serpentarium with lion’s safari are many among the attractions. This is the country’s first Butterfly park set up in the year 25th of November 2006. Large variety of animals are looked after here in this National Park. Mamals are left freely in the forest and the visitors are taken for a ride around the forest in a well caged mini-bus to view these animals. Different partitions with huge gatesand moats separate the forest into the Herbivores sections with Carnivores section. A variety of animals are looked after here in this National park. The Mammals are left freely in the forest and the visitors are taken around the forest in a well caged mini-bus to view these animals. Different partitions with huge gates and moats separate the forest into the Herbivores section and the Carnivores section. The Herbivores section comprises of few animals like deers, bears and a few monkeys etc. White Tigers, Lions, Bengal Tigers are covered in the Carnivores' section. Visitors are also lucky to find Chipmunks (American brown squirrel) which are very rare in India. Shravanabelagola is one of the most important place for Jains in South India. It is a place of great importance in point of pilgrimage, archeological and religious heritage. The place derived from the point that Shravana means Jain and Belagola or Biliya Kola means white pond. The statue of the jain saint Bahubali or Gomateshwara was carved out of single monolith rock and its about 58 feet height, took 12 years to complete the statue. This shrine attracts devout Jains from all over the country who come to pay obeisance to this saint who stood in penance at this spot. Ths monolith statue was built in 981 AD by the Ganga kngs on the peak of Indragiri Hill. Every 12 years a ritual is held for 12 days, the statue of Lord Gomatheshwara gets poured by 1008 kalashas (painted earthen pots- colored colorfully in ceremonious way) of water, milk, butter, ghee, curd sugar, almonds, tender coconut, sugarcane juice, rice flour, turmeric paste, jaggery, banana paste, kashaya (herbal concoction), shrigandha (sandal paste), chandana (Coloured sandal paste), ashtaganda (8 varieties of sandal paste), Saffron, marigold flowers and precious stones. Founded by RVM foundation had a dreamto build a temple with a gigantic statue of Lord Shiva with river Ganga flowing out of his matted hair, meditating in an environment of peace, serenity and tranquility. He was surprised cause when this inspiration struck him he had no money, no land and no architect, but only an inspiration from God to move on. After finding an apt property in Bangalore, arranged funds for the project and founded an architect and started to construction in the year 1994. Many people worked internally and externally in building the 65-feet-tall manisfesto. The temple reached its completion in Feb 26th 1995. Spread with the power of faith in 1996, Mount Kailash was installed and inaugurated; in 1997, the spiritual havan in a rock like structure was made; in 1998, the Ganesha statue was installed; in 1999, the Navagraha and the 108 ONS yatra was initiated; in 2000, the Barah Jyotir Ling Yatra was started; in 2001, the diya and magical coin pond was introduced; in 2004, the special Abhishek Ling was installed; in 2005, the Pratyaksh Ling and the Healing Stone was introduced; in 2007, the live bhajans were introduced; in 2008, the Vignaharan Thread; in 2009, the special poojas and the Ganga Snaan Parikrama was introduced; in 2010, the Pahadi Shiv Dham Yatra and the Amarnath Ling was initiated. Year after year, with God's inspiration, the temple has been transformed into a destination of faith where prayers are answered. Today the temple attracts millions of devotees from not only India but from all around the world. The most important festival in the state of Karnataka - Dussehra is celebrated in October. The Royal Palace at Mysore is decorated with lights and processions of elephants bedecked in finery walk along the city with the Goddess Durga's image. Fireworks accompany bands playing military tunes. The Tigala community of Bangalore have kept alive an ancient tribal festival harking back to over five centuries. On this auspicious night processions are taken out by men of this community who perform ritualistic dances to the frenzied beat of drums, many perform fire walking and strike themselves with naked swords. The chosen devotee emerges from the temple carrying the sacred Karaga on his head and joins the procession. A heartening feature of this festival is its secular nature as people of all faith join in with equal devotion. Ugadi, which usually falls in the second half of March or in early April, is the Kannadiga's New Year's Day. The traditional practice is to begin this festival dinner with a mixture of jaggery and neem leaves. It is meant to be symbolic of the joys and sorrows interwoven in life and the need to accept both. Government Museum on Kasturba Gandhi Road is one of the oldest museums in the country. This houses prehistoric artifacts, belonging to the Neolithic periods. These artifacts were unearthed while excavations were being carried out at Chandravalli. Apart from a rich collection of South Indian Jewelry, fascinationg stones, inscritions,icons painting, coins, miniature paintings, sculptures, textiles etc. also includes the Venkatappa art gallery. Technological and Industrial Museum located also on Kasturba Gandhi Road is for science enthusiasts and students. And one of the most celebrated museums of its kind in India. This popular museum was named inhonor of M Visveswararaya responsible for advancing the use of technology. Visvesvaraya Technological and industrial Museum, Bangalore is popular for the mobile science exhibition. Many exhibitions are organized all through out the year. There are also exhibitions on motor power and electronics The main attractions of the museum are the five galleries, which are located in its premises. The galleries are Popular Science Gallery Electronic Technology Gallery, Engine hall, Kimbe Paper Metals Gallery and Childrens' Science Gallery. The Visvesvaraya Technological and industrial Museum, Bangalore remains for public viewing from 10.00 a.m to 5.30 pm. the museum only remains closed on Mondays for visitors. Mysore Palace Museum with a length of 245 feet and breath of 156 feet. The original palace of Mysore was carved out of wood which was accidently burnt in 1897. The 24th Wodeyar Raja rebuilt the Mysore Palce in 1912 has a rich collection of Raj paintings, with a smaller Residential Museum inside, displaying the personal effects of the maharajas. Now under the supervision of the Archaeologica Department of the India andis converted into museum. It preserves rare collection of marvelous carvings and exquisite art and sculpture culled from across the globe. You will get the opportunity to see the paintings, jeweler, royal costumes of the Royal families of Wodeyars. The ground floor displays the personal belongings of the Wodeyar Mahararaja while the upper floor displays collection of weapons belonging to the Maharajah. Daria Daulat Bagh Museum is the summer palace of Tipu Sultan situated in Srigangapattana, built by Tipu Sultan in 1784. The two storeyed palace is built using teak wood. The Wooden pillars support the open corridors. Now, the palce is converted into a museum for the benefit of visitors. The museum consists of Tipu's memorabillia like coins, clothes, furniture, arms and ammunitions, paintings, sketches of Tipu Sultan and his family. Two silver bowls that Tipu gifted to the Rangathaswamy temple is also on display. Many paintigns of Sir Robert Ker Porter in 1800 depicting scenes of war are displayedin the museum along with portraits painted by Thomas Hickey. Nrityagram the dance school established by the late Protima Bedi, Protima wanted Nrityagram, situated on the outskirts of Bangalore, to be India’s first dance village for all classical dances. There would be seven gurukuls for the seven classical dance styles. She wanted to revive the guru-shishya parampara in the right kind of environment. HAL Heritage Centre and Aerospace Museum: The Heritage Centre & Aerospace Museum at Hindustan Aeronautics Limited, Bangalore, is located on Airport Road, 8 km. from M. G .Road and only 1.5 km. from Airport. visit to the Heritage centre is a most spectacular feast for the eyes, unseen anywhere in the country.Heritage centre, at HAL automatically finds its place in the tourism map of Karnataka. trip to Bangalore will be incomplete without a visit to the Heritage Centre. A visit to the Heritage Centre takes you into a new world of Aerospace and speaks volumes about the technological growth of our nation.The growth of HAL from Nineteen Forties is shown chronologically by a wonderful photo exhibition.This is a place to visit for one and all. A visit once to the Heritage Centre will tempt one to visit again. The traditional food of Bangalore is based on Karnataka cuisine that comprises a rich vegetarian repertoire as well as spicy non- vegetarian meat, fish and chicken preparations spiced with coconut, chillies and garam masalas. The idlis (steamed rice cakes), dosas (rice and lentil crepes) and freshly filtered coffee available at any small restaurant in Bangalore are the best to be had in the country. Try pubbing one evening in this chilled out city, which was the first to sell draught beer in India. You will get a good selection of international food to go with your drinks. Church street is full of multi-cuisine outlets/restaurants. Coffee parlours are the most popular meeting places. Several restaurants offer music on weekend evenings. Bangalore is well known for silk, sandalwood carvings brass and rosewood decorative items, spices and coffe, M.G.Road is the main shopping centre lined with well shops of handicrafts, garments, as well as all the majot outlets. You will also find the best stocked books, musi food stores on this road. Central Cottage Industries is stop shop for tasteful, high quality handicrafts, textiles silks. Karnataka Silk Industries Corporation is a reliable for buying silk saris and material. Natesan's Antiqarts s antiques as well as reproductions of sculptures, paintin jewellery and furniture. There are several shopping ma over the city. Some good places to shop are Gandhi IS Commercial Street, Koramangala and Brigade road. Foreigners entering India on Student, Employment, Rese Missionary Visa, which is va! more than 180 days, are req register with the Foreigners Registration Officer under wl jurisdiction they propose to s should be done within 14 da arrival in India, Irrespective c actual period of stay. At present, there are five rec offices of the FRRO in India Mumbai, Kolkata, Amritsar a Chennai. Foreign nationals intending to stay in cities where there are no registration offices can register themselves with the Office o (Superintendents of Police) of the concerned.